Fashion and Summer has a thing to do with Haute Kutir Blog. Remember we created a hi-street style look that went kaboom and found a place at Lakme Fashion Week Street Style Show. Yeah, yeah it was among top 3 designs across India to walk the ramp. I have created a Bohemian style chic look for your riverside/ lakeside or any natural water body soiree/ picnic/ Fruit & wine sojourn. The look comprises of an outfit, accessories, makeup, gears sans shoes. Oh! you can use this look for your evening beach shack parties too. 1) Thread Knit See through Cream Top: We loved the knit, the color and the feminine touch. Besides, it is super airy, allows you to breathe. I picked it up during one of my trips abroad and loved it totally. 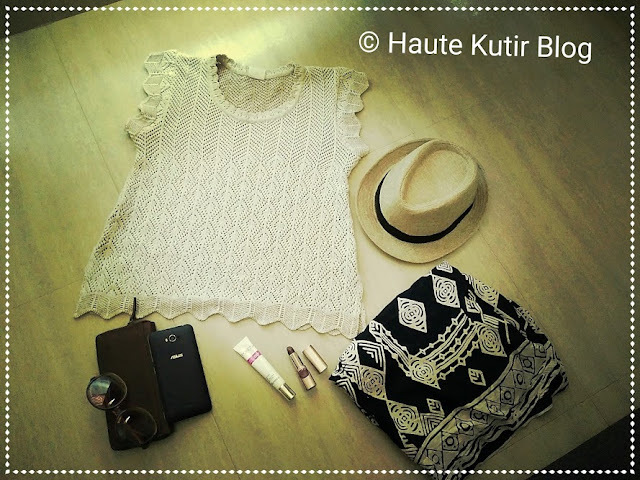 While, stencil and lace are not seeing enough summer light, knit will sail you through. Pair it with your sports bra or a caged bralette. 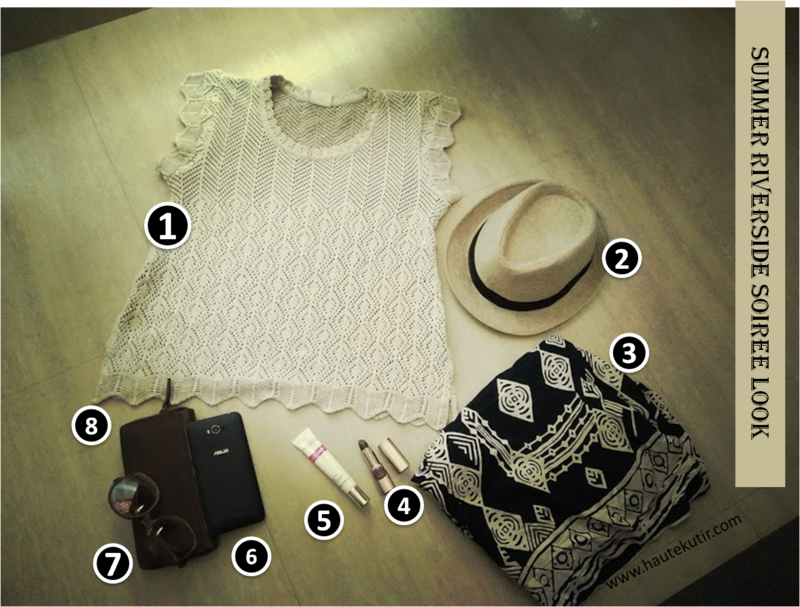 2) Cream and Black Fedora Hat: Riverside or waterside is definitely going to be breezy and hot. This lightweight Fedora hat will not just protect your hair from sun, salt and breeze but will add oomph to your petite pretty dress. 4) L'Oreal Maroon Lipstick: Do not bother yourself in the rigmarole of makeup and much. Glint this pastel outfit with a maroon-brown shade lip color, and you will be sorted. We have selected Arabian Nights from L'Oreal Cannes Collection. It is L'oreal [one of our fav] it is matte and it lasts long. 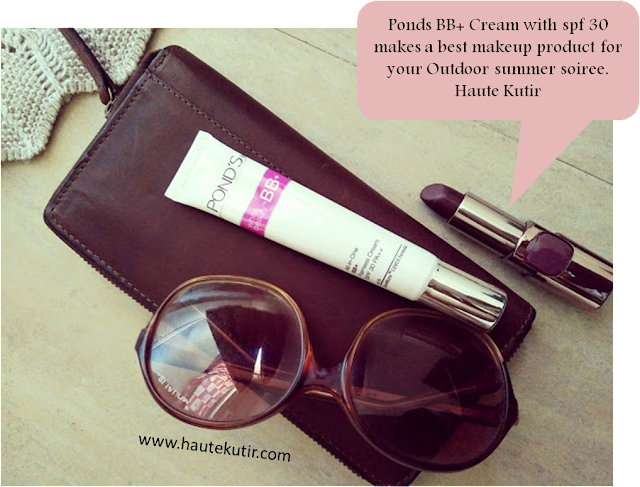 5) Ponds BB Cream: "If you have Ponds BB cream, you are sorted. You need no makeup". Mekhla from my team vouches for Ponds BB cream. It is not BB it is BB+ with SPF 30PA++ that will help you bear the sun on your face while making your complexion clear. It retails at Rs 140 for 18G and is travel-friendly too. 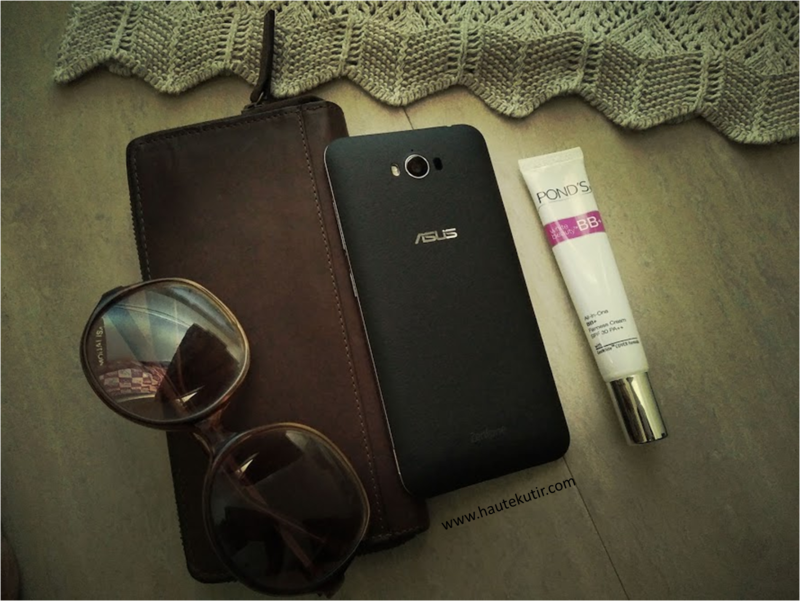 6) Zenphone: We recently reviewed Asus Zenphone Mega in black and could not help placing this stain free, sturdy phone here.The black geek has a wide screen for capturing the picturesque brilliance and shooting if you require. Plus you would need a phone with a strong battery for all your Snapchat and social media needs. This phone comes equipped with 5000MaH Battery that promises to last long, several Snapchats long. 7) Boho Glasses: We picked this Brown Orange Ombre number. They are large, round and cover your eyes' under eyes while making you look chic, smart and Pret Ready. Additionally, you can pair your off white knitted top with this lovely blue padded number from Triumph. This is from my recent Triumph Lingerie haul and I absolutely loved the seamless design and soft fabric here.